There are numerous opportunities for music education at St. John. Vocal music is built into the curriculum at each grade level, while other music education opportunities are voluntary extra-curriculars, such as handbells and band. Children in grades 4K through 2nd participate in Cherub Choir. Children learn to sing songs that are age appropriate and often times utilize hand motions and gestures to enhance learning. Practices are in school on Wednesdays after chapel. The Cherub Choir sings in church 5 - 6 times during the school year under the direction of Mrs. Candice Schram. Children in grades 3 through 8 participate in Junior Choir. Music education at this level entails teaching students to read the music they are singing. Children also learn about the meaning and history of the choral pieces. Practices are held on Wednesdays after chapel in the church sanctuary. The Junior Choir sings in church once each month during the school year under the direction of Mrs. Charlotte Fritsch. 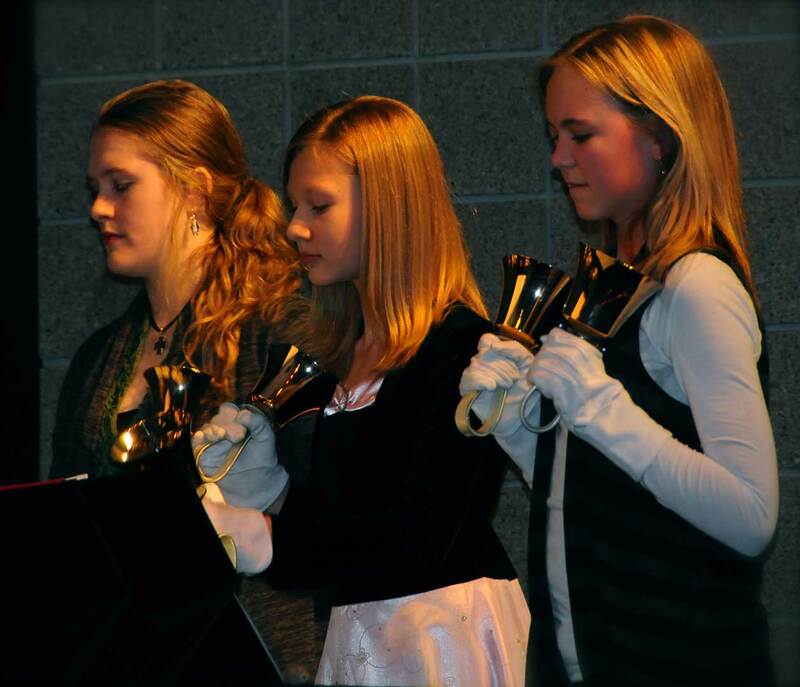 Handbell Choir is open for boys and girls in grades 5 through 8. Practice is held two days per week during the school year from 11:00 - 11:50 a.m. The Handbell Choir plays in church once each month during the school year. Extra performances are scheduled for area nursing homes, the Berlin Senior Center, and some area churches. Music instruction for recorders takes place two days per week in 3rd and 4th grade. Students purchase a recorder and learn the basics of music - how to read and count notes and follow a musical selection. The children earn awards and ribbons as they progress and develop their skills. The musicians occasionally play in church or for Parent Teacher League events and talent shows. All St. John students have the opportunity to take band through the Berlin Public School system starting in 6th grade. Directors from the Berlin Middle School meet with the students and parents to discuss instrumentation and procedures. Students are bused to the Berlin Middle School for class on band days, and lessons are held right at St. John School.